Ward Melville High School juniors Jillian Bove and Ally Szema spearheaded a fun-filled badminton tournament this March that helped to raise money for the Leukemia and Lymphoma Society. The event was sponsored by the school’s HOSA club sponsored in Jillian and Ally’s name, with all donations the tournament benefiting their team 3vforacure. Also in attendance was special guest, Brandon Bloom, who attends Arrowhead and is a survivor. Brandon welcomed all 21 teams to the event with his family in the opening remarks. There is still time to donate, with the late April deadline approaching. For more information, or to help the cause, please visit http://events.lls.org/li/longislandSOY2018/t3vforacur. 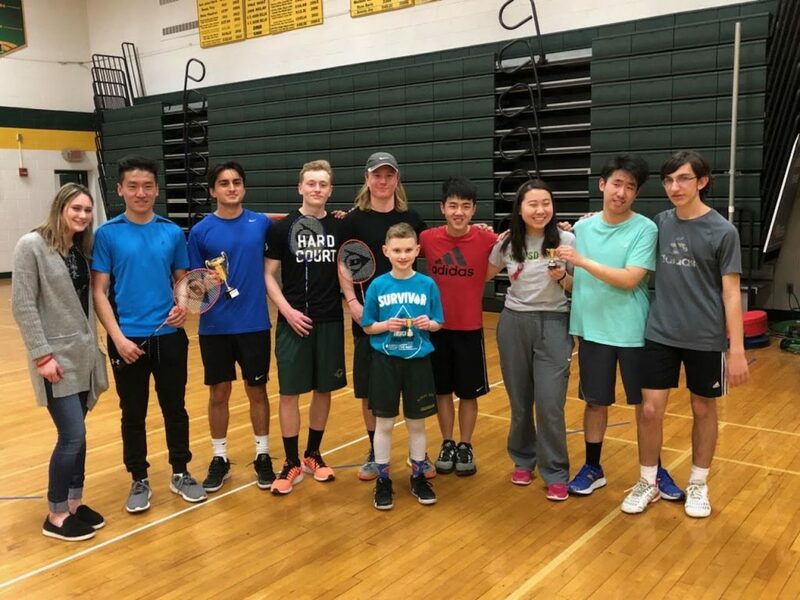 Photo caption: Ward Melville High School students came together to support a badminton tournament this March to benefit the Leukemia and Lymphoma Society.